Yuanyuan Wu is the Director China Business Group of Aon Risk Solutions who is in charge of the services of risk /insurance management for the investments and operations owned by Chinese companies and overseas Chinese. Ms. Wu has jointed Aon–COFCO insurance Brokers Co. Ltd since Nov.2008 and transferred to Aon Los Angeles office in May 2013. 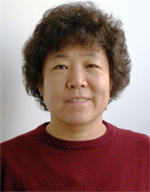 Ms. Wu worked as a commercial consul in Chinese Consulate General in Los Angeles from 2005 to 2008. She was from COFCO and worked in China National Native Produce and Animal By-Products Imp. & Exp. Corp. for more than 20 years. She graduated from Beijing Foreign Trade Institute. Aon plc is the leading provider of risk management services, insurance and reinsurance brokerage and human capital and management consulting.Aon has 63,000 employees in 500 offices in more than 120 countries, with total revenues of $11.5 billion in 2012.